Kevin Downs is a New York-based photojournalist and documentary photographer. 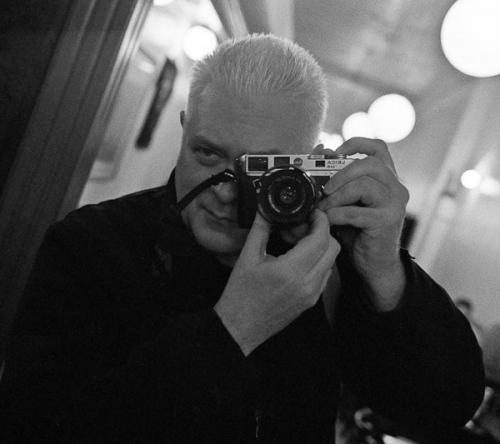 He studied Fine Arts at Pratt Institute, Photography at City College and the mentors in his early career were Louis Stettner and Mel Rosenthal. He attended the Missouri Photo Workshop, where he was awarded the Bill and Duane Honorary Director's Scholarship. He has also photographed in Japan and other parts of Asia, as well as in Mexico and Haiti. Currently, he is working on projects documenting life in the United States, covering issues such as people affected by the economy, immigration and other social issues. For the past 6 years, he has been documenting an area of Corona, Queens, known as the Iron Triangle. This is a place where immigrants had come in search of the American dream but is now in the process of redevelopment, with the city claiming eminent domain and forcing small businesses out of existence. Recently, he has also extensively covered the aftermath of Hurricane Sandy, on the Rockaways and Staten Island. His work is published by the main international publications M Le Magazine du Monde, LaCrox, VSD Magazine, Les Inrockuptibles, The Good Life Magazine, Travel + Leisure US, Escape, Wish magazine, Sun-Herald, The Sydney Morning Herald, We Demain, Grazia France, The Wall Street Journal, About.com, MSN Network, ABC News, TIME Magazine, Southern Accents, Entree Magazine, Coastal Living Magazine, La Gazzetta dello Sport:, and the New York Daily News. He has taught workshops in New York's Coney Island and at the International Center of Photography. He is represented by Redux Pictures.